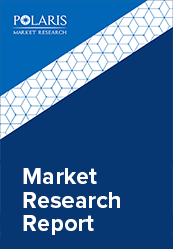 The global polyacrylate market was valued at USD 1.32 billion and is estimated to grow at a CAGR of 5.7% from 2018 to 2026. Polyacrylate is a popular class of polymer that showcases significant characteristics as a resin material for formulation of many products. Some of the main properties of this compound include good impact elasticity & toughness, high transparency, and high resistance to heat. Polyacrylate is one of the most widely used class of polymers and is driven by its wide array of applications globally. Paints & coatings is one of the largest applications for these polymers, where these are used in different types of coatings and currently have witnessed high demand on account of rapid growth of the water-borne coatings. Increasing construction spending in tandem with the rising per capita income of the consumers have resulted in tremendous growth of the paints & coatings market. Water-borne coatings have primarily led the demand for polyacrylate market as, these coatings do not make use of solvents and are environmentally compatible option. Automotive coatings also make require polyacrylate resins and are manufactured in large quantities. Advanced, feature-rich and protective coatings have made their way in the automotive segment with increased demand for modern vehicles that is a growing trend in many developing nations currently. Textiles and adhesives & sealants have largely contributed to the increased global consumption of the polyacrylates. Due to their high strength, polyacrylate is used in oxidant-resist and and fast-setting adhesives. Such adhesives are largely employed in many end-use, especially in building & construction. Polyacrylate is also used in the formulation of dispersants, which are broadly used in fast-growing textile industry. Polyacrylate have large availability in many parts of the world and are not very highly-priced. Some of the big market players are vertically integrated across the value chain, mainly across the manufacturing and distribution stage. Few companies are also integrated from the raw material procurement to the distribution stage. Polyacrylate is a bulk chemical supported by the strong global chemical distribution channel and thus high profitability margins for many key players. The global polyacrylate market is segmented on the basis of product type and application. Paints and coatings is the largest application sector for the polyacrylate. Technical developments & very consumer demand for certain coatings such as powder, waterborne, protective, and architectural have led to increased consumption of polyacrylate. Polyacrylates are also used largely in textiles and adhesives. In textile industry, these polymers are used in enhancing the properties of dispersants. On the basis of product type, polyacrylates are classified as poly (methyl acrylates), poly (ethyl acrylates), poly (butyl acrylate), and others. The different types of polyacrylates are used in the final products depending on the requirement of the formulations. Asia Pacific polyacrylate market has witnessed the highest consumption of the polyacrylates with China as the major contributor. Large end-use industries that have been witnessing significant year-on-year growth are the major driving factor for the polyacrylate market in this region. Increasing population, rapid urbanization, and rising disposable consumer income in many developing Asian countries has risen the demand for commodity products and their raw materials. North America and Western Europe are also significant polyacrylate markets but with a slower growth as compared to APAC. 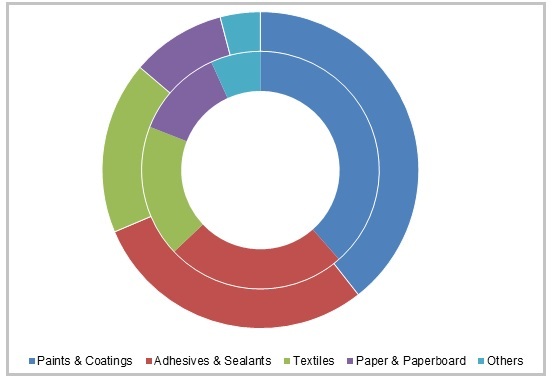 Increase in the demand of absorbent polymers for their use in feature-rich and advanced end-use products is majorly driving the growth of polyacrylate in these regions. The global polyacrylate market comprises of large number companies, both international and domestic. Polyacrylates industry is highly competitive and moderately consolidates due to large number of established chemical market players. Some of the major market players for polyacrylates include BASF SE, Arkema, Evonik Industries AG, Lucite International, LG Chem Ltd., DowDupont, Kao Corporation, Sanyo Chemical, RSD Polymers Pvt Ltd., and others.